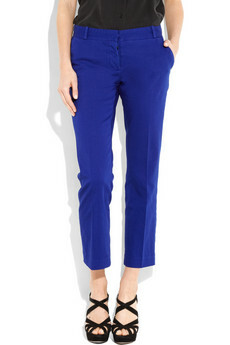 Joseph Ange's cobalt cropped pants retail for $275 at Net-A-Porter and were recently worn by Cheryl Cole. If you love the cobalt pants but not the price, check out this pair I found at Asos. They retail for $73.86 and you can click on the photo below if you're interested in purchasing.